The value of Passover for believers transcends mere ritual and symbolism. It speaks to us of the death and resurrection of the Master and the great salvation of human souls. It serves as a type and a shadow for the ultimate redemption that has been granted to us through Messiah. The Israelites understood that they were to escape through the midst of the sea, but the sea had not yet split. 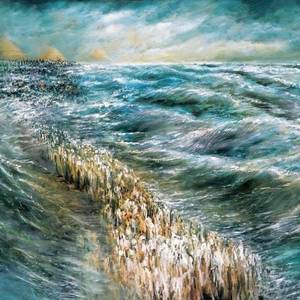 Jewish legend says that Moses bade the Israelites step into the sea, but they were unwilling to do so until Nahshon sprang forward and plunged into the water. He struggled under the waves and nearly drowned. 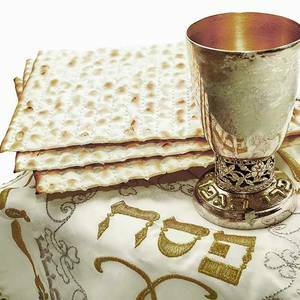 We use the terms “Passover” and “Feast of Unleavened Bread” interchangeably. In the Torah, however, the terms are distinct. The Passover (pesach, פסח) refers to the actual sacrifice that occurred on the fourteenth day of the month. 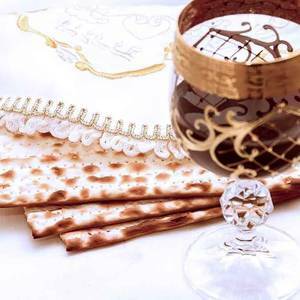 The Festival of Unleavened Bread refers to the seven-day festival that begins that day at sunset—the fifteenth day of the month. 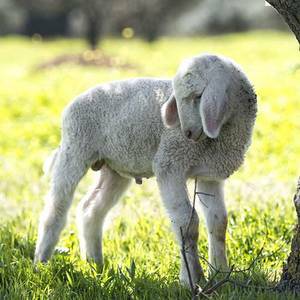 Passover is an opportune time to break with our past and start over as new creatures in Messiah. Passover is an annual reminder that we must leave the old culture behind. We are free from the past, and we need to set aside those things in our lives that continue to enslave us. The LORD instituted a regimen of repetition by commanding the Israelites to commemorate the Passover sacrifice every year. He commanded them to annually sacrifice a lamb in remembrance of the lambs they sacrificed in Egypt. The blood of that lamb was no longer to be applied to their doorposts—instead it was applied to the altar in God’s Temple in Jerusalem. Immersion into the name of Messiah represented the transition from death to life, from the kingdom of darkness to the kingdom of light. Paul saw the same imagery at work in the crossing of the sea. The children of Israel left Egypt, Pharaoh, and slavery behind as they descended into the water, and they arose on the other side as free men.